We are the Mediterranean and we are Europe. Welcome to the collaborative website of the Euromed Cities Network. At a time when major choices will decide our destiny, our cities are the engine that can transform our regions, driving economic development, innovation and progress. 1. Muni – Expo. Urban Innovation Fair. 26 – 28 February 2019. Tel Aviv. Israel. The Federation of Local Authorities in Israël – FLAI – organizes Muni- Expo, the Urban Innovation Fair, 26 – 28 February 2019 in Tel Aviv. It is the foremost event of its kind in the Middle East. 2. Eilat – Eilot 8th International Summit. 2 – 4 December 2018. Eilat. Israel. 3. Efficient Buildings and Renewable Energy. 18 – 19 October 2018. Ljubljana. Slovenia. 1. Union for the Mediterranean – UfM -, 28 September 2018. Vienna. Austria. 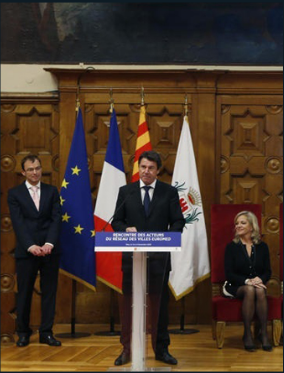 In the framework of the 10 – year anniversary, three new regional projects have been approuved. One of these, “Euro – Mediterranean Smart City Innovation Centres” is promoted by the “Euromed Cities Network”. 2. CPMR (Conference Peripherical Maritime Regions) Intermediterranean Commission, General Assembly. 28 – 29 June 2018. Patras ( Dytili Ellada). Greece. This assembly gathers about 160 regions from 25 states of the European Union and beyond that want to co-built their future. President Apostolos Katsifaras and all the participants firmly stated that they wished European programmes allowing to work for a long time. More than ever, the Mediterranean has to face with major challenges. She must walk on her two legs : the South one and the North one. If the South goes badly, the North will go badly too, it’s inevitable. 3. Interreg MED Programme : ” MADE in MED – Crafting the future Mediterranean”, event on 18th and 19th April 2018 in Rome, Italy. Built on the concept of “FabLab : Fabrication Laboratory”, this event presented the first results of 90 projects through a conference and an exibition or “Lab Area : Tasting and testing MED”. These two days were a real opportunity to convey the idea and values of co-working, knowledge sharing and innovation but also to look towards the cooperation in the Mediterranean. 3. Forum in favour of the Prevention of Radicalization. “Youth at the heart of social transformations and the prevention of violence : Academics and cities hand in hand”. 25 – 26 january 2018, Beirut, Lebanon. 4. 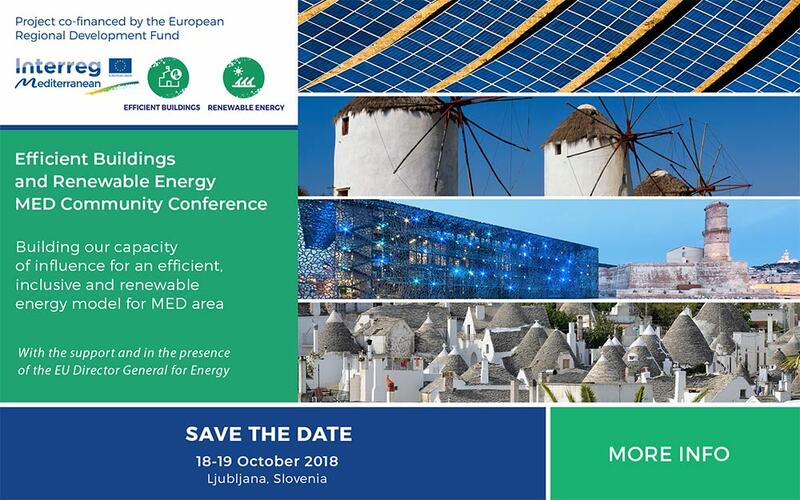 1st annual congress of the EEB ,”Energy Efficiency in public Buildings”, Community led by MEDNICE, the 4th, 5th and 6th october 2017, Nice, France. The Euromed Cities Network will use the information you provide on this form to be in touch with you and to provide updates. You can rest assured that E.C.N. will never share your information with third parties and that the way we handle your data is confidential, secured and transparent. For more information about our privacy practices, contact us.